One of the beautiful things about moving often is that you experience the “little things” of life in so many different ways. Like the smell of the plants outside your window. Or the way different fruits taste when they’re in season. Or the cadence of stray overheard phrases in different languages. Among the constant yet changeable things in my life is the evening walk that my husband and I have taken regularly ever since we got married thirteen years ago. From the beginning, it was a great time to reconnect as a couple, talk about what was on our minds, and get some fresh air. Later it doubled as a way to soothe restless babies to sleep. 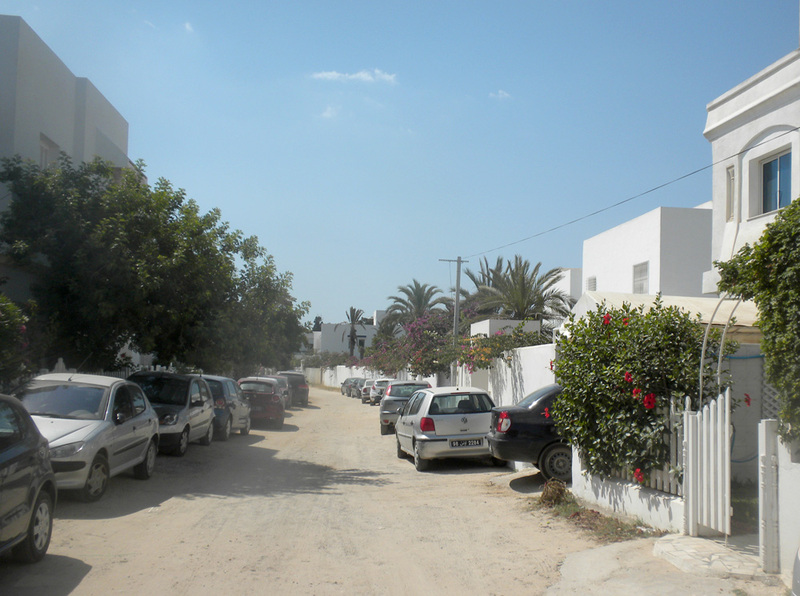 Our walk also helps us explore whichever neighborhood is ours at the moment. Since we so often view the outside world through a car window (or nowadays in Amsterdam, from a bicycle), walking lets us take a slower, more intimate look at the scenery and notice things we wouldn’t otherwise see. More than anything else in the various homes I’ve had, scenes from these walks tend to pop into my head in the odd moment, bringing with them that unmistakable twinge of hiraeth that takes me back not only to a place, but also to the corresponding epoch of my life, and the person I was back then. For part of it, we walked through a wadi (dry riverbed). Sometimes there were camels, often goats. Always there was the sea at the end, usually bright blue and still, but sometimes stormy. It was a difficult time in my life. I had recently recovered from an illness, and we’d been moving a lot. 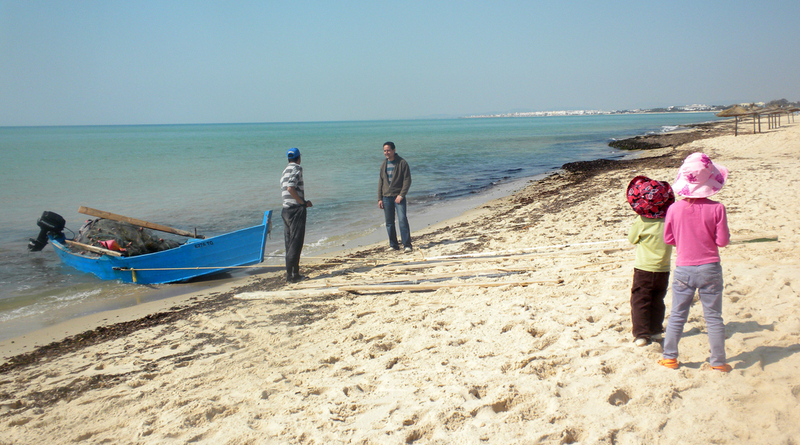 Tunisia was a place to catch our breath, live somewhere quiet, and re-calibrate our life. Also a place where we could live our digital nomad life on the cheap. The beautiful beach was the centre of everything. I spent many mornings there, writing poetry and trying to make sense of life. I have no desire to go back to my life then, but that beach really meant something to me. I guess it was an oasis of something beautiful and quiet in what felt like a chaotic and complicated world. I miss it now, the way I imagine Odysseus might have afterwards paradoxically missed Calypso’s island (which some sources place in Tunisia too), as a remote, hidden place where everything stopped for awhile. Another favorite walk was in Ireland. We’d walk out to (I kid you not) the most idyllic cow pasture in the world. It’s funny to me several years later how fondly we still speak of “our” cow pasture. 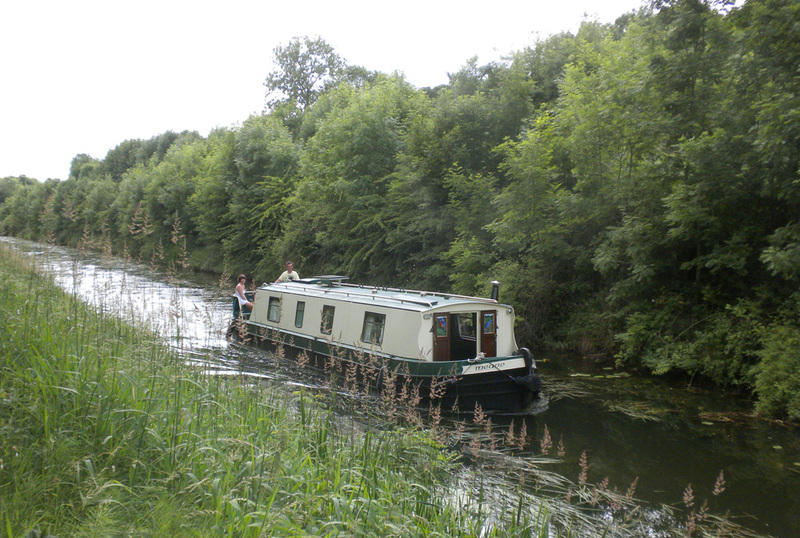 Our route left town just a block or two from our flat in a little Irish Midlands town called Mullingar, where we took a path that paralleled the Royal Canal. At the time, we were reading Edith Nesbit’s The Railway Children out loud to the kids, and I thought about it every time the train went by. This walk and the picnic we usually had at the end of it always made me feel like we were re-living some lost Victorian country childhood. 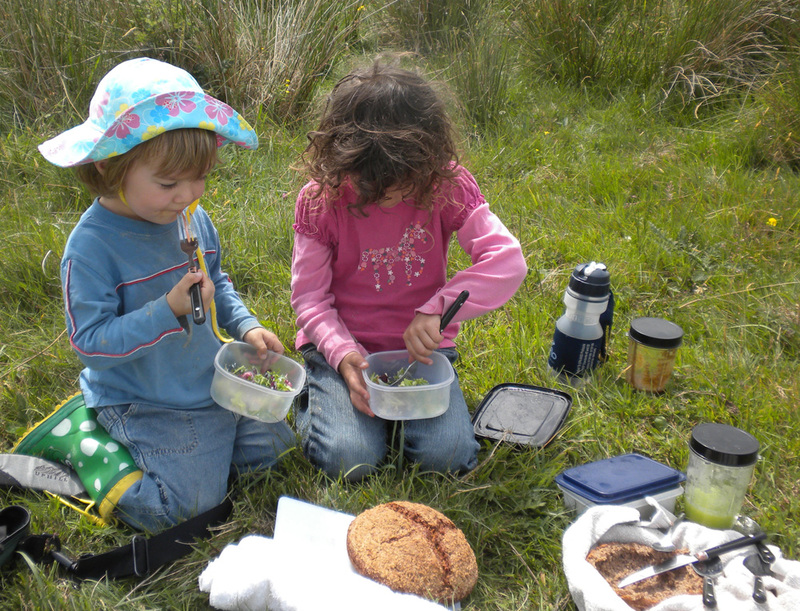 This photo makes me remember so many things about Ireland: the authentic Irish brown bread that I made all the time there, and somehow never make anymore, the wellies my kids lived in, and how very little they were back then. 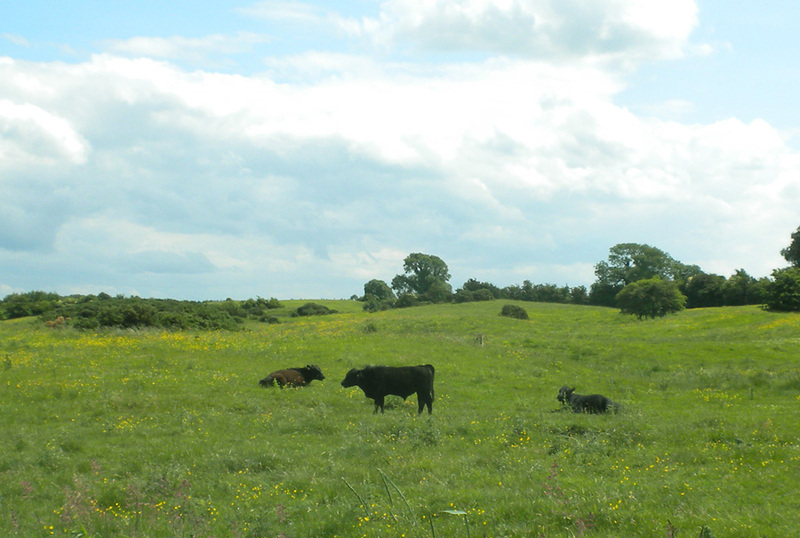 Part of me would like to go back and live in Ireland just to step back into those idyllic moments in our cow pasture. But even if you go back to a place, you can’t go back to a time. My daughter starts middle school this year, and she’s growing up as very much of a city kid now. It feels so far away from those days chasing dragonflies and catching frogs in a field. One of our best walks was just outside the beautiful little Italian village that still feels a bit like home in my head. You know those stock photos of the road between trees that converges on the horizon with a perfection that looks like it can’t possibly really exist? 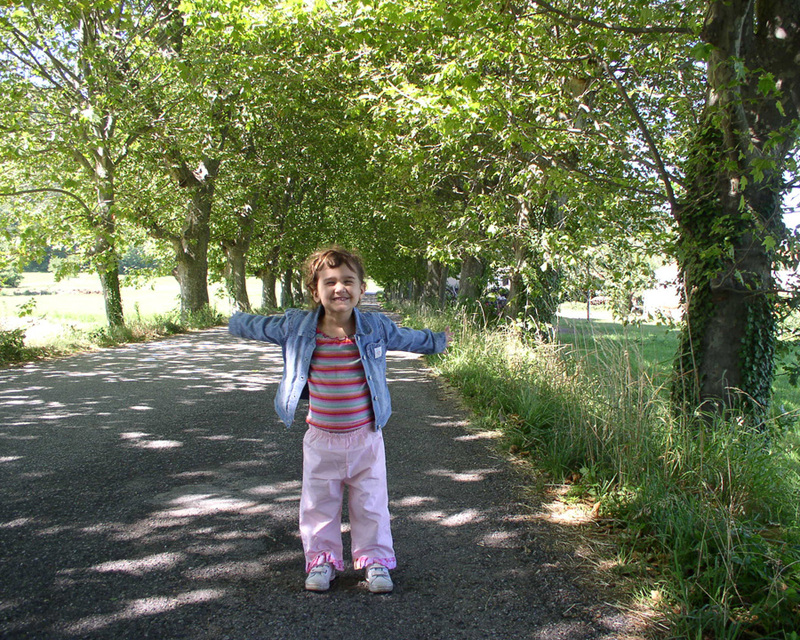 Ours did in fact exist, although this photo is less about the perfection of the road than the exuberance of my very pleased little daughter. After the tree-lined walk, the path opened out into beautiful Alpine fields backed by mountains. I can close my eyes and see it again, and it’s just as breathtaking every time. We rarely went up in the mountains, but we would buy wildly aromatic melata honey created by the bees out of some strange alliance with mysterious insects living in trees in the heights. The taste was dark and rich, and made me think of journeys to other places. It was a honey for wanderers, like me. I remember the beekeeper who sold us our honey (unseemly amounts of it, in the biggest jars she had) telling me sorrowfully how she had lost many of her “bee families” in the worldwide crisis of dying bees. I remember the time we took our normal evening walk after it was already dark, and saw strange glowing objects hidden amongst the mossy tree roots. Alien artefacts, we were sure. Or high-tech spy surveillance equipment. We speculated excitedly about the possibilities. They were glowworms, an Italian friend told us later; an unexpectedly magical answer to the question, from our point of view. We’d never encountered such a thing before. I miss even the insects in Italy. We had similar beautiful walks in Vancouver, Washington, where the spring was a delicious parade of different flowers that seemed to go on for months, and human civilisation was plopped in the middle of the wonders of nature, whether that was waterfalls, wild blackberries, or even a glimpse of a coyote or mountain lion. My son was born here; I remember labouring in the birthing pool in my living room as I looked out on this view. What a thing it is to leave behind the place that saw the birth of your child. The City Mouse and the Country Mouse is one of Aesop’s most enduring fables. Even in Roman times, it seems, there was tension between the allure of the cosmopolitan city and the peace of the countryside. I’ve felt that too. My inner city mouse and country mouse are always locked in an uneasy truce; in my mind those mice take on fearsome proportions, like the red dragon and the white dragon buried beneath the earth at Dinas Emrys, and locked in an unceasing battle that shakes the earth above them, tumbling the fort built above them to rubble again and again. When I live in the country I long for the culture and bustle and sidewalk cafés of the city. When I’ve been too long in the city (two years in Amsterdam now, for example), I start to relive these walks in my head, longing for a more Arcadian existence. “The thing is”, as I muse perplexedly on my blog, “the more places you live, the more sentimental you get about every beautiful place you’ve once called home, and the more tantalizing it is to think about moving somewhere new”. It’s not time to move yet (I continue to tell myself), so for now I content myself with walking back into my memories.